NASA aims to bolster its budget with a National Planetary Exploration Car Wash and Bake Sale. You may have heard about recent, dramatic cuts to the budget at NASA, the U.S. agency responsible for all that science-type stuff that goes on up in space. 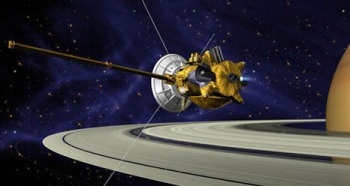 The cuts are particularly bad for the agency's planetary exploration activities, which covers everything from Mars rovers to probes like Cassini-Huygens; according to io9, the budget for Mars exploration alone was slashed by over 38 percent, effectively bringing further missions to a halt and forcing the cancellation of the ExoMars mission that was being undertaken in conjunction with the European Space Agency. Bill Nye, aka The Science Guy, who also also happens to be the Executive Director of the Planetary Society, said the cuts are indicative of wrong-headed priorities in the U.S. Government. "Science is the part of NASA that's actually conducting interesting and scientifically important missions. Spacecraft sent to Mars, Saturn, Mercury, the Moon, comets, and asteroids have been making incredible discoveries, with more to come from recent launches to Jupiter, the Moon, and Mars," he said in February. "The country needs more of these robotic space exploration missions, not less." So to help make up for the roughly $300 million shortfall, a Planetary Exploration Car Wash and Bake Sale is being held at various locations across the U.S. A "broad cross-section of planetary research and exploration institutions" are taking part, including the Lunar and Planetary Institute, the Lunar and Planetary Laboratory at the University of Arizona, Google X Prize competitor Moon Express, Notre Dame, UCLA, the University of Maryland, and many others. Speedo-clad physicists and engineers will playfully wash cars all day long, while a generous selection of cookies, pies, and other delights will be on sale for as long as they last! Aside from the thrill of watching pasty, pear-shaped men throwing sponges and squirting each other with hoses under the hot summer sun, attendees will also enjoy the benefits of an awareness campaign that will draw attention to the deep budgetary cuts and their impact on scientific pursuits. Each event will be led by a local organizer, a media rep and a treasurer, who will be guided by an "event cookbook" provided by a national coordinator, and the whole thing is being publicized through PEN, Facebook, Twitter, and other press channels. All funds raised by the Car Wash and Bake Sale will be sent by local organizers to the House or Senate Appropriations Committees in the form of "dozens of letters" filled with cash. Will it add up to $300 million? Hopefully - but if we have to settle for increased awareness of the importance of NASA's mission among politicians and the public alike, I guess that's okay too. The National Planetary Exploration Car Wash and Bake Sale will take place on June 9. To learn more or find a location near you, check out boulder.swri.edu.